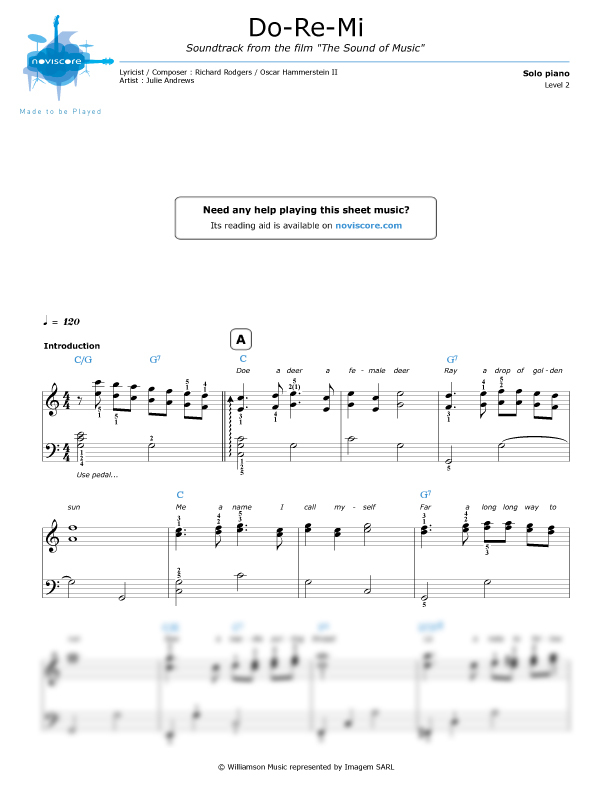 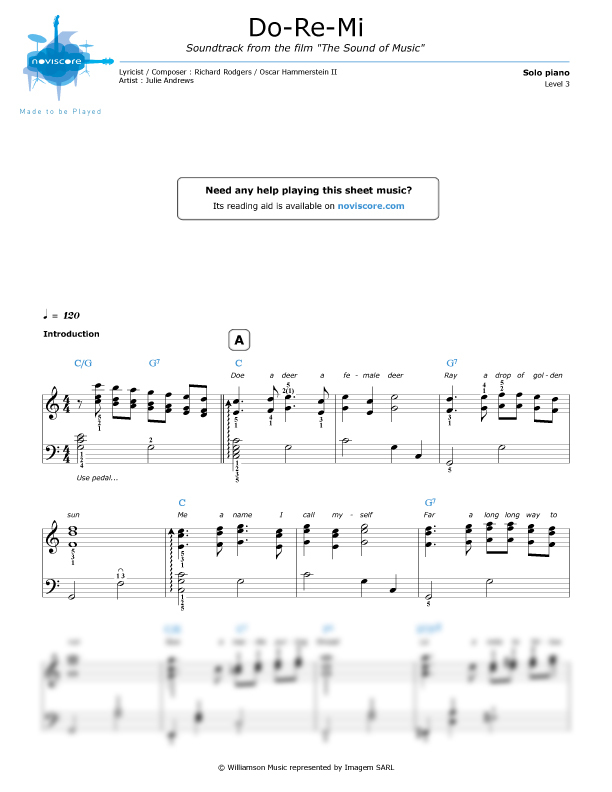 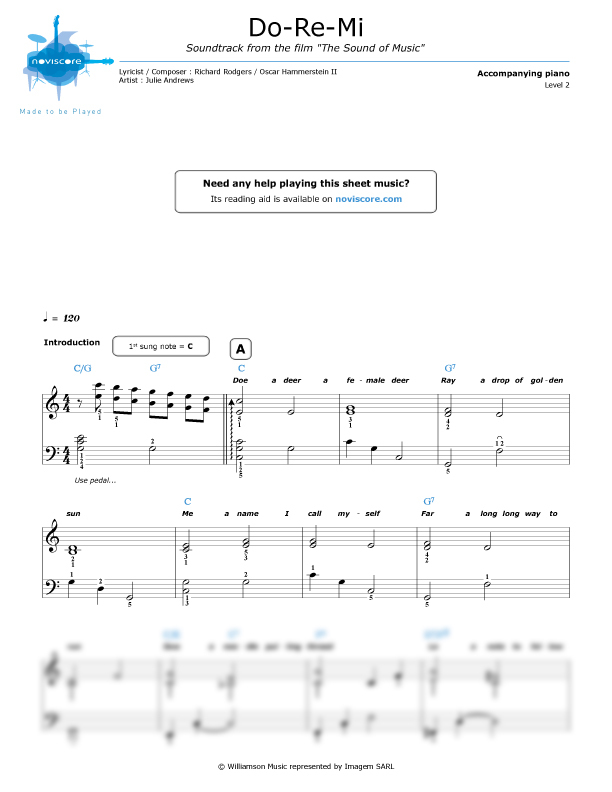 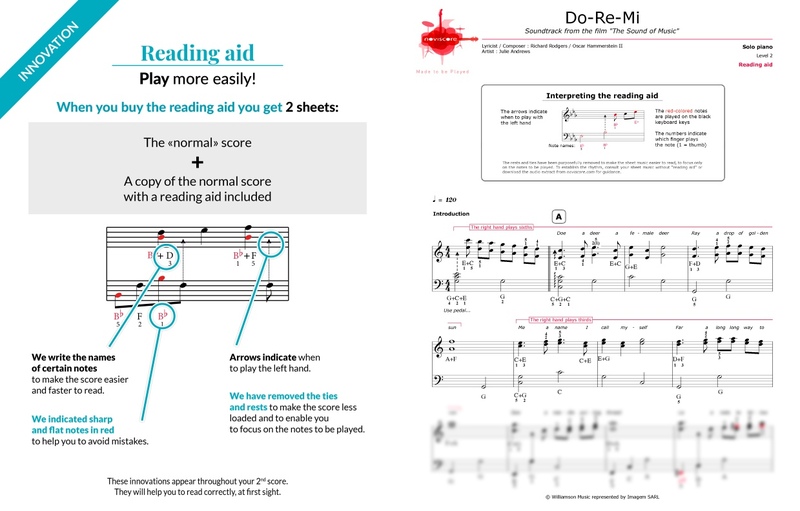 We invite you to discover our "Do-Re-Mi" piano sheet music from, one of the most popular musicals of all time, The Sound of Music. 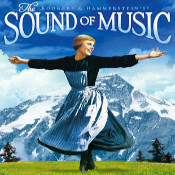 Released in 1965 under the original title "The Sound of Music", this blockbuster is the third biggest box-office hit in American cinema history. 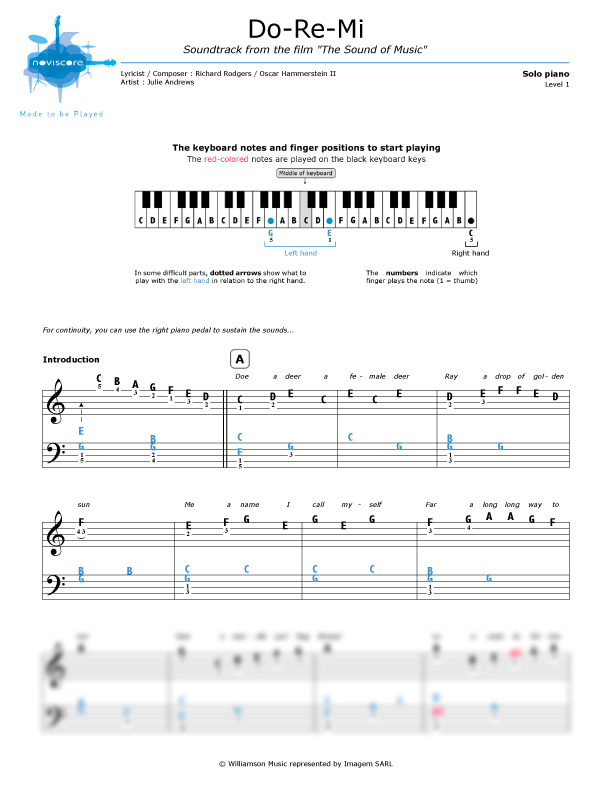 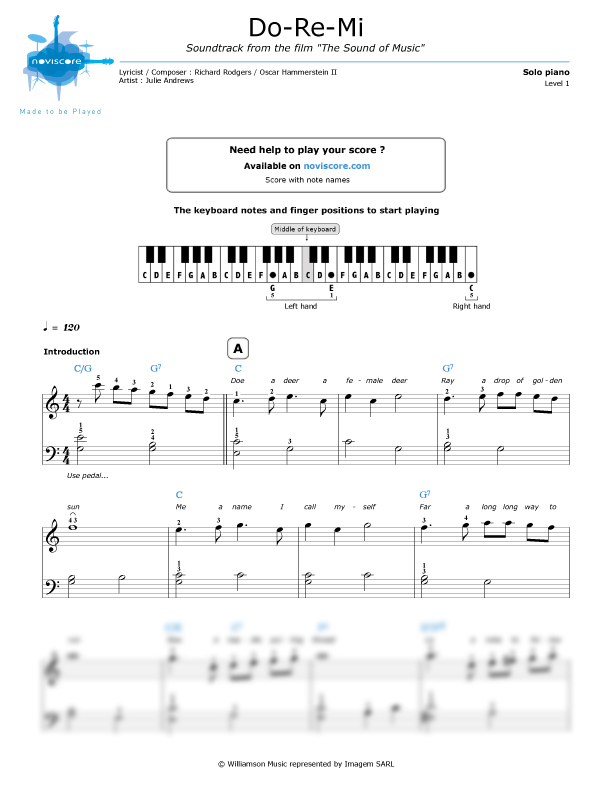 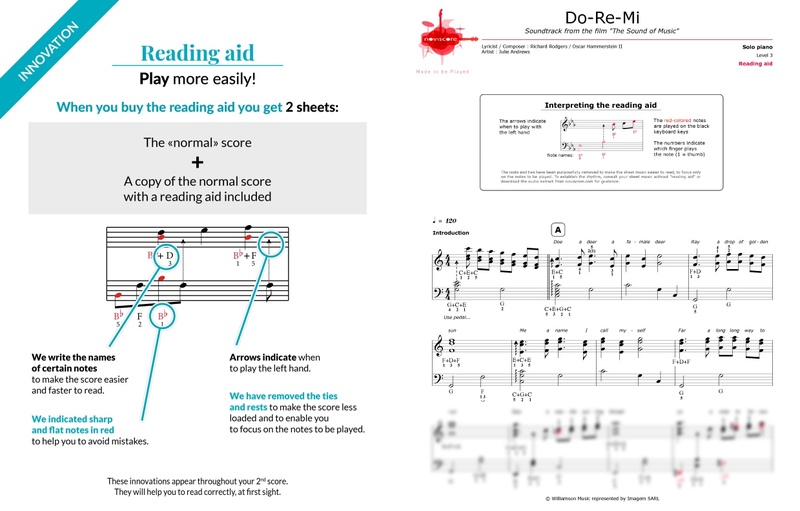 Choose between several levels of difficulty, depending on your playing skills, from our Level 1 easy piano sheetswith note names instead of symbols to our Level 3 sheet music for experienced players, available with reading aid if required.